HKS made great products since 1973. Our customers love our products in all over the world. And HKS high quality product production is well approved by the Japanese big automobile manufactures, that's why HKS provide OEM products, too. 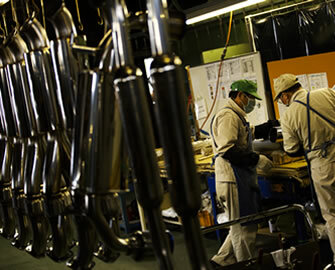 We have been providing OEM parts of muffler, electronics, supercharger and etc. Since 2010 we have received ISO9001. HKS will always challenge to improve the product efficiency and performance by trying racing and answering our customer's need.